Buyers Mortgage Fell Through! 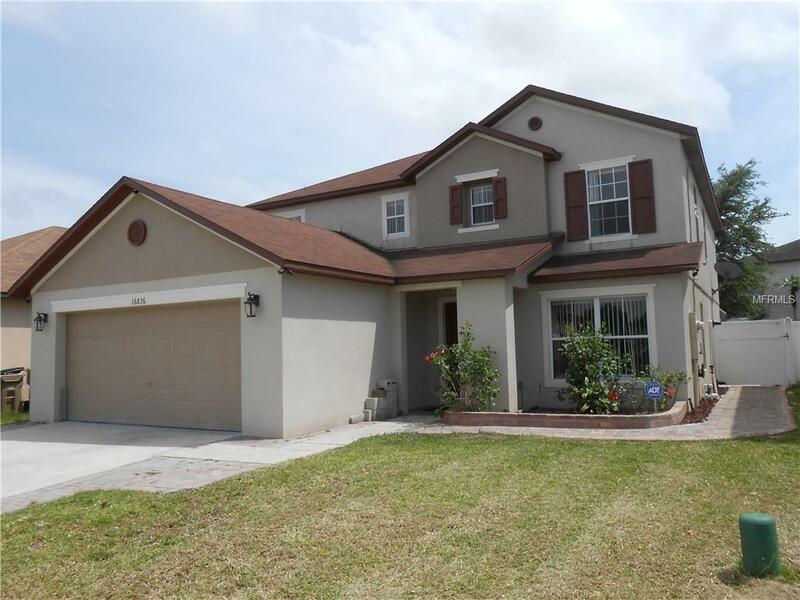 Your opportunity for an Awesome 5 bedroom, 4 bath, POOL, Fully FENCED. This 2 story Pool home with Master downstairs, WOOD FLOORS, and large bonus area upstairs makes this perfect for your family. No carpet! Indoor Laundry, Large Living room/Dining room combo at front of home, with larger Kitchen/Breakfast/Family room at the back of the home, overlooking the pool. Storage shed and raised garden within your fully fenced back yard. This home is close to area attractions and is in a community that has a playground and pool. Don't miss this one, it has lots of possibilities! Close to area attractions and the new connector roadway scheduled to go in over to Avalon Road, So you would have back road access to the Disney complex and the Daniels Landing Winter Garden Shopping Village. Pet Restrictions Buyer Must Check With Hoa For Any Breed Restrictions.